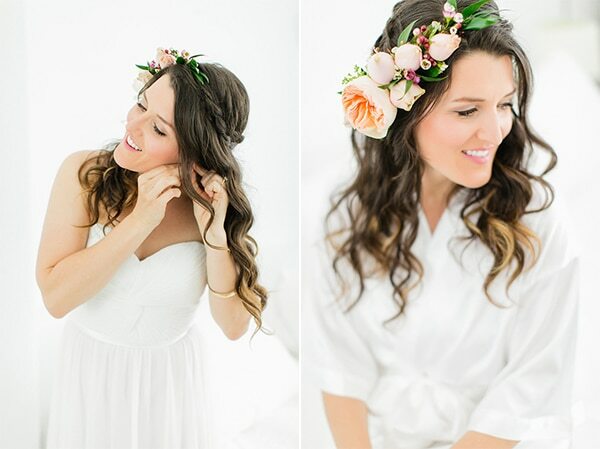 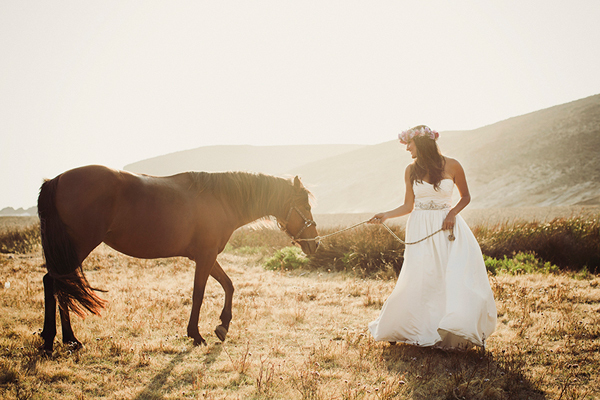 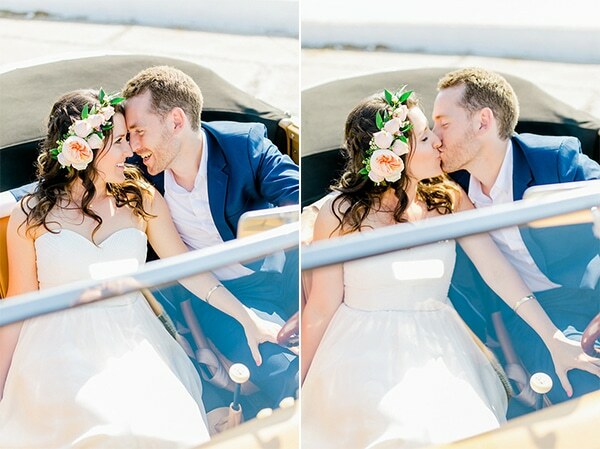 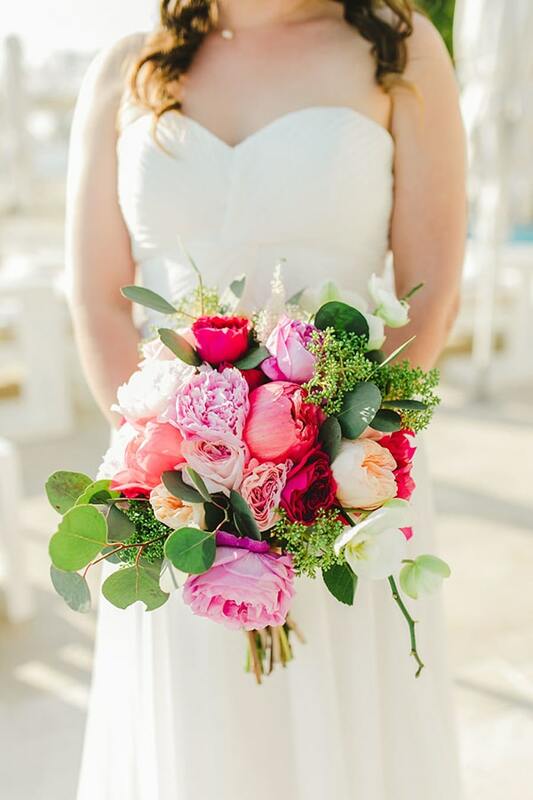 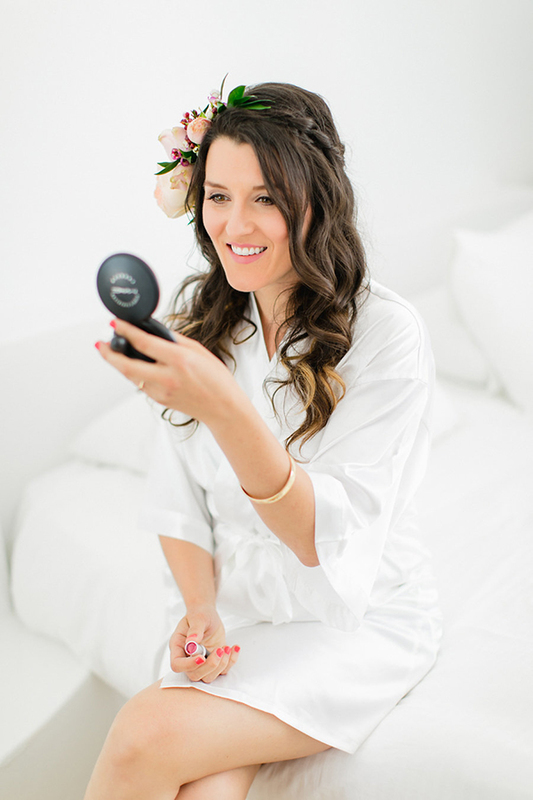 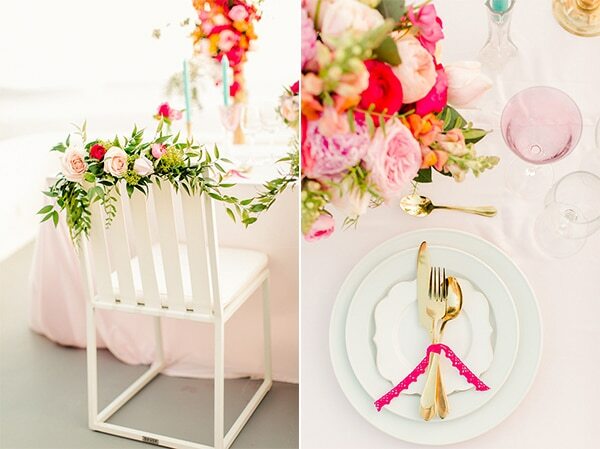 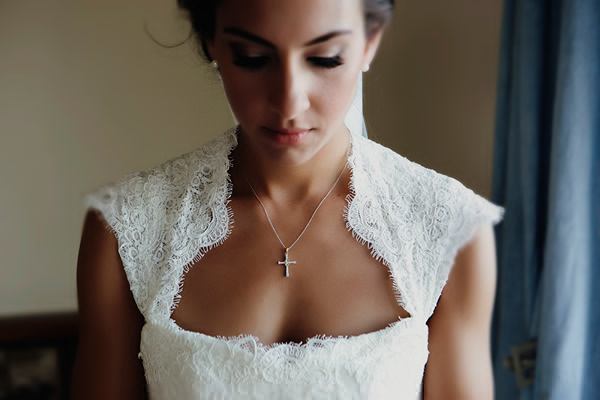 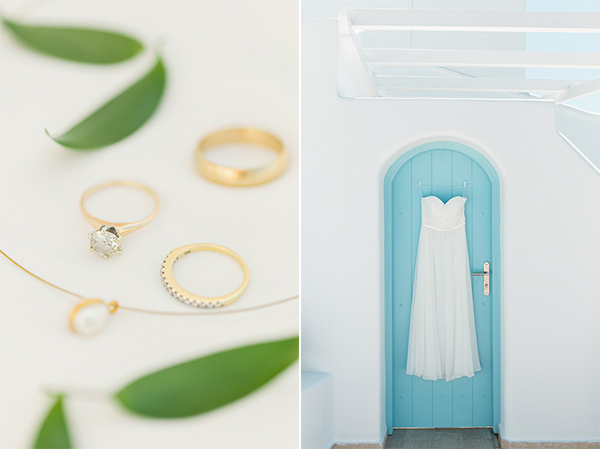 Today, we’re sharing with you a very beautiful wedding that stole our hearts! 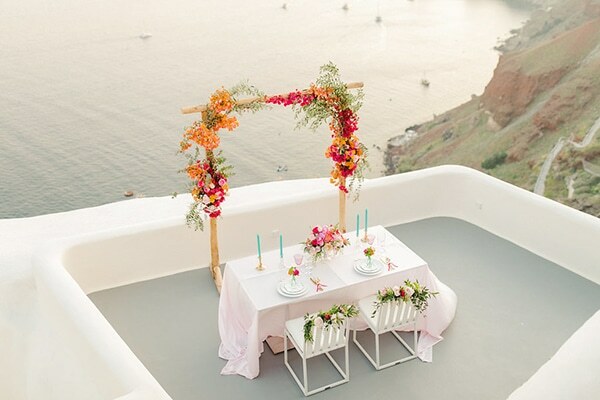 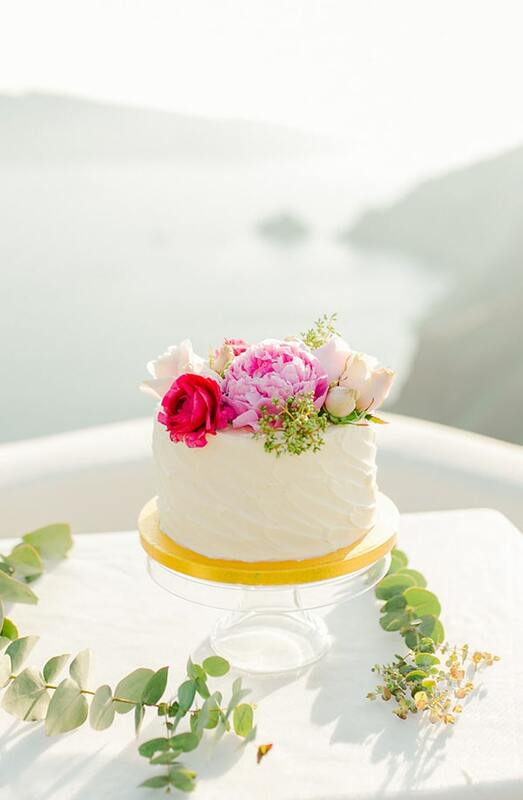 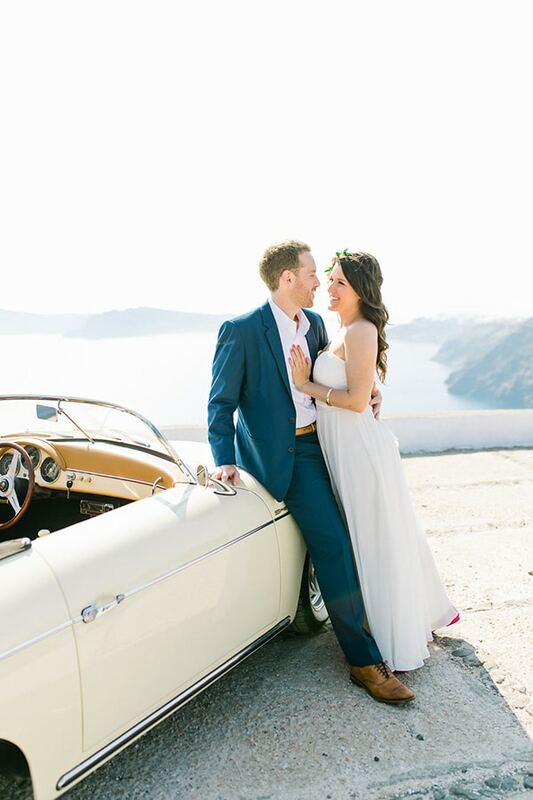 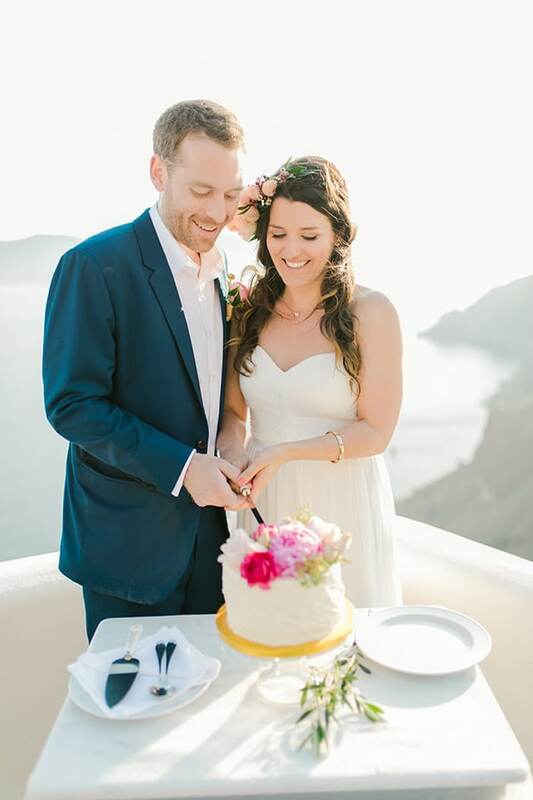 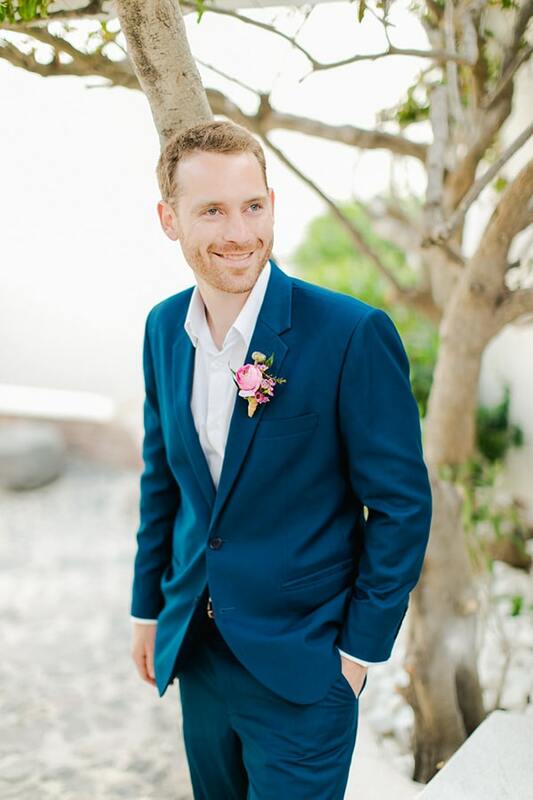 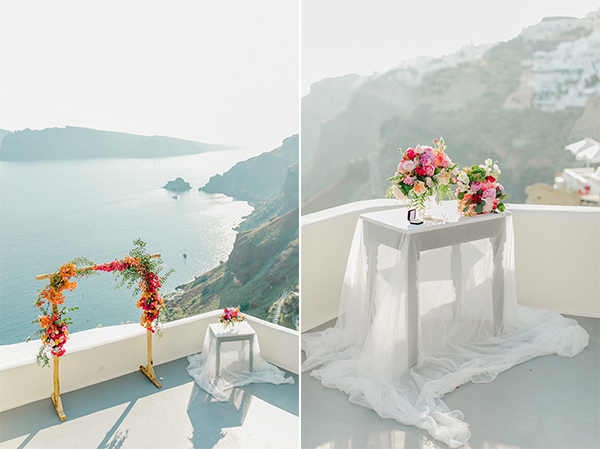 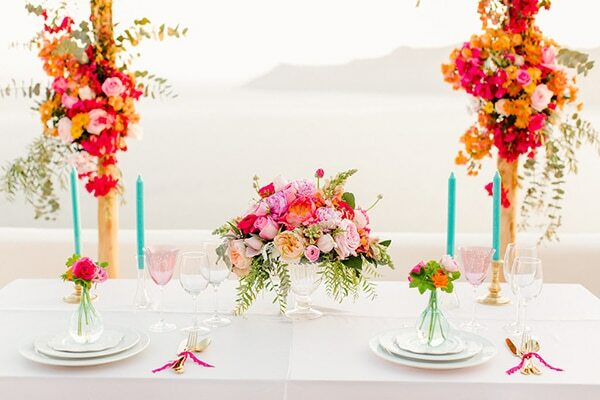 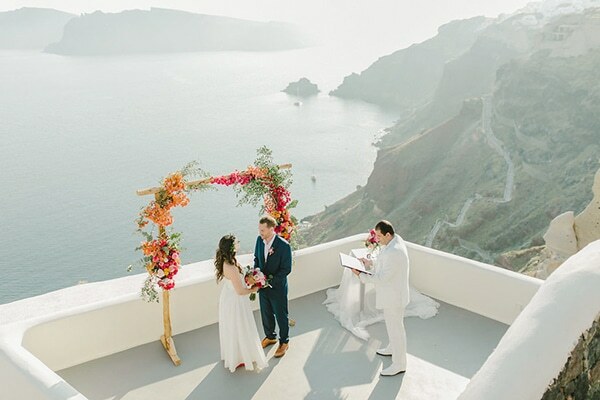 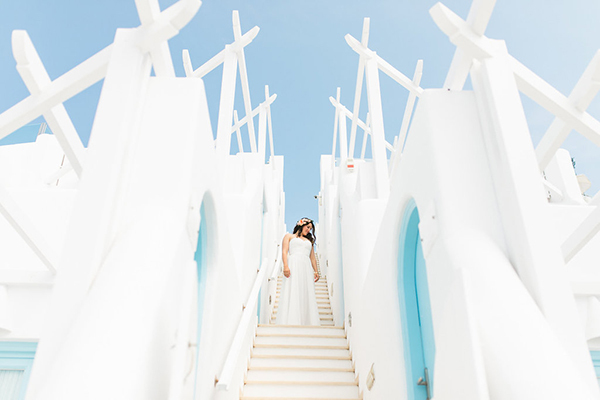 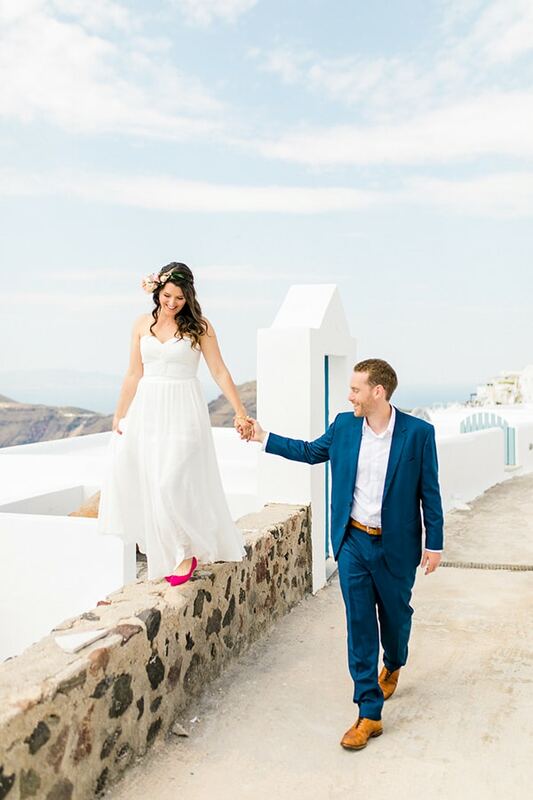 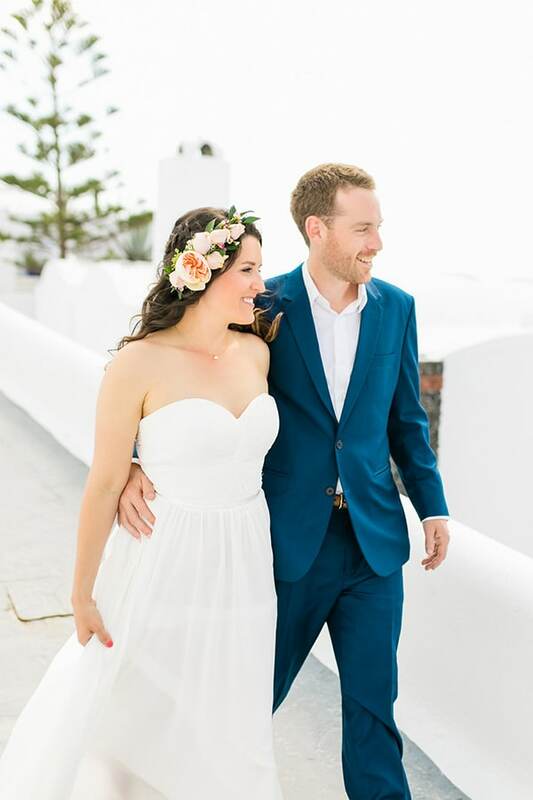 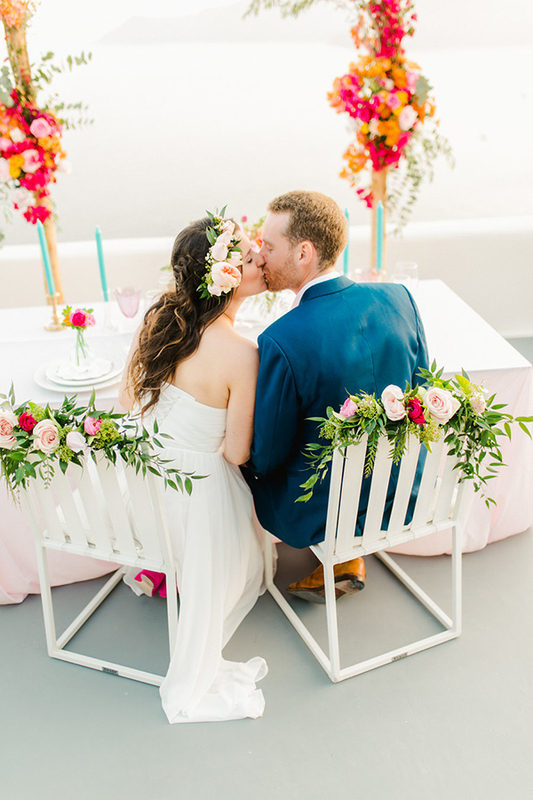 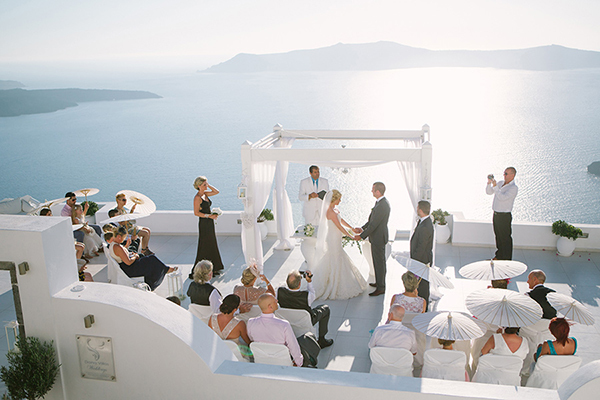 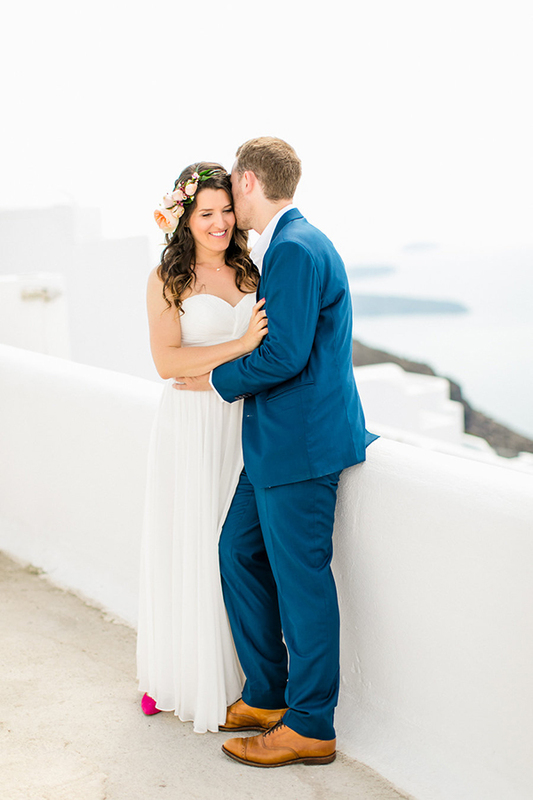 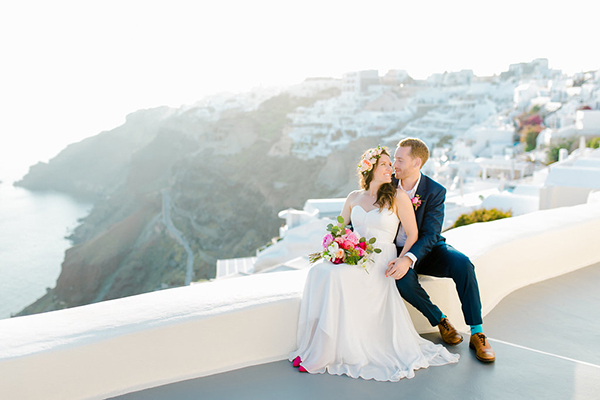 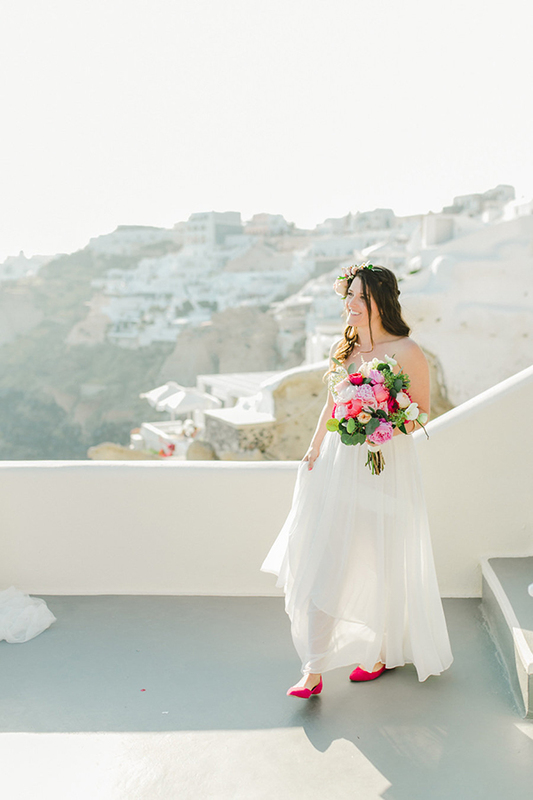 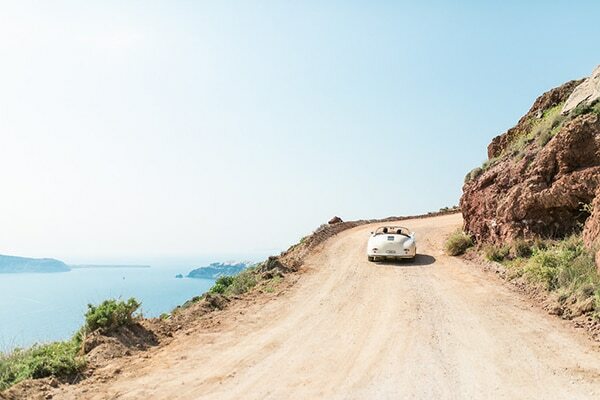 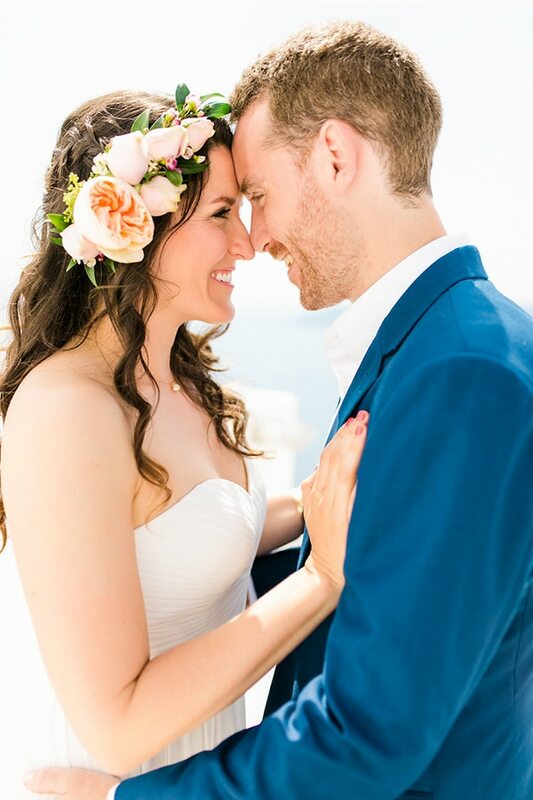 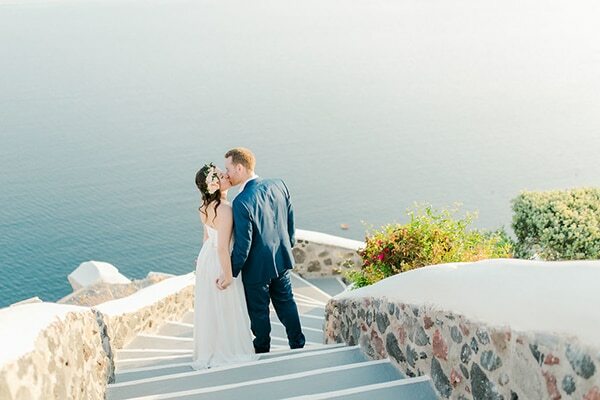 Our current couple made their wonderful wedding in Santorini, in one of the dreamiest islands for couples in love. 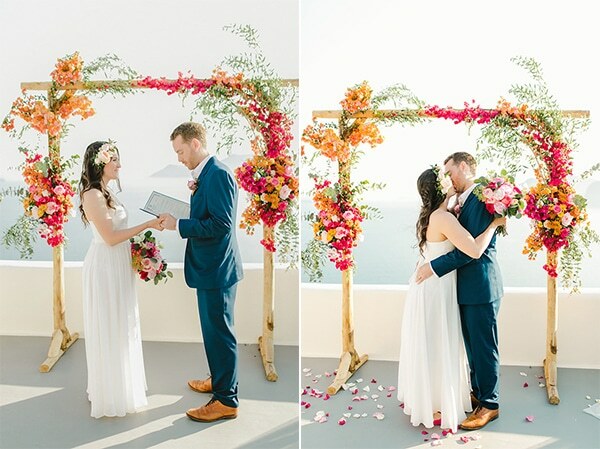 The ceremony venue was decorated with an impressive arch full of fresh flowers in orange and fuchsia hues that made the place even more prettier. 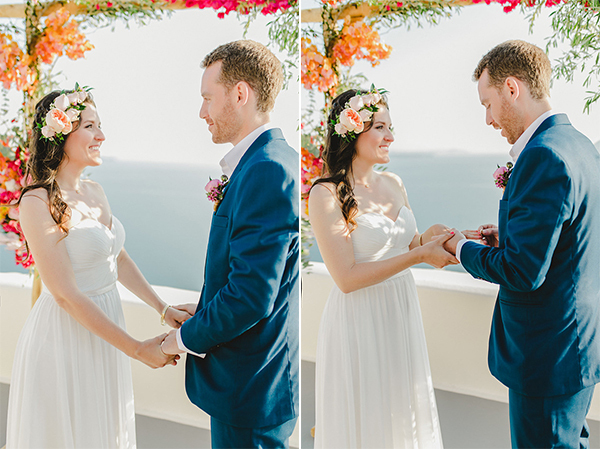 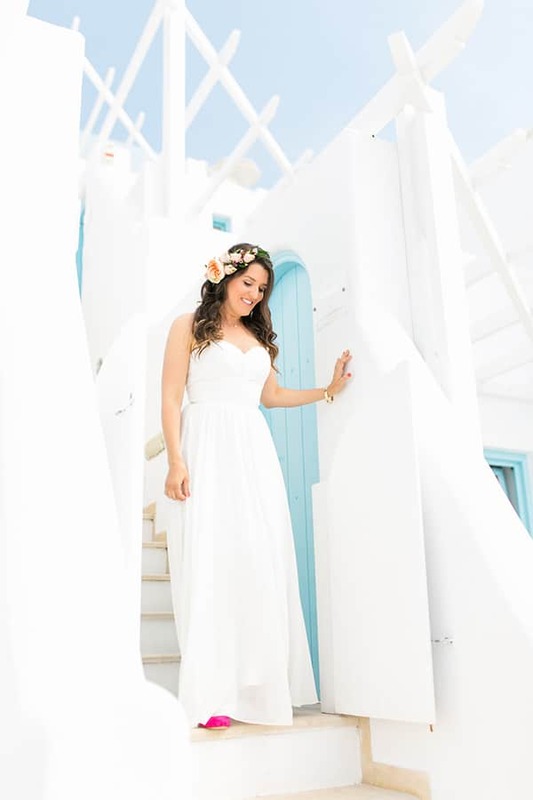 What to say about the bride, who was shining in her airy romantic wedding dress which was the perfect choice for an island wedding like this one! 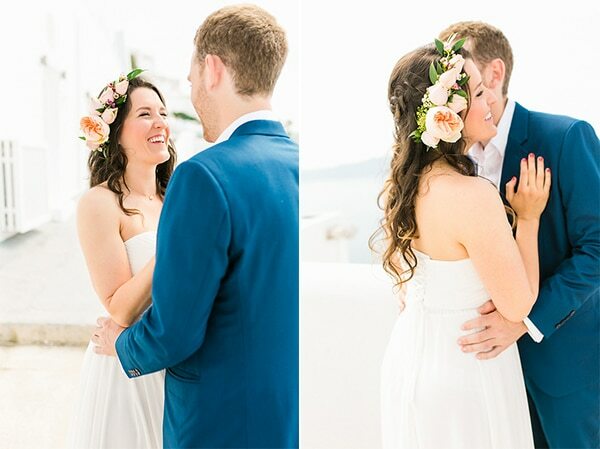 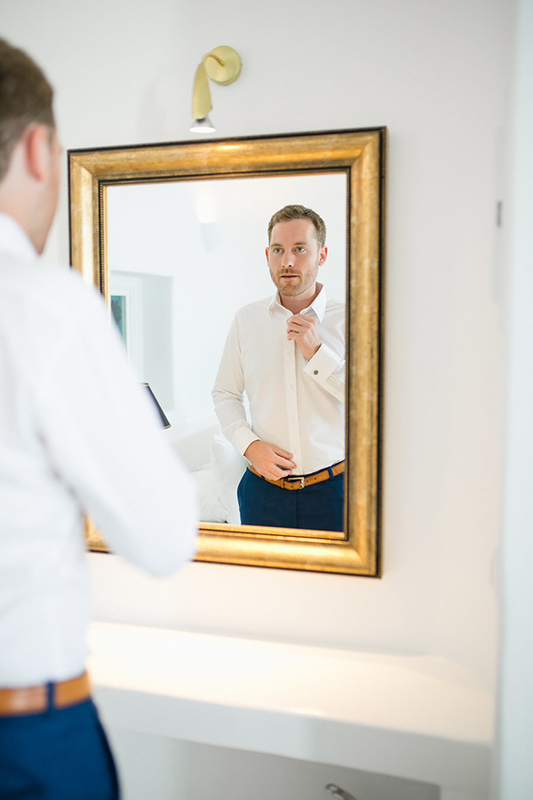 Enjoy every moment of this wonderful wedding through the pictures below!